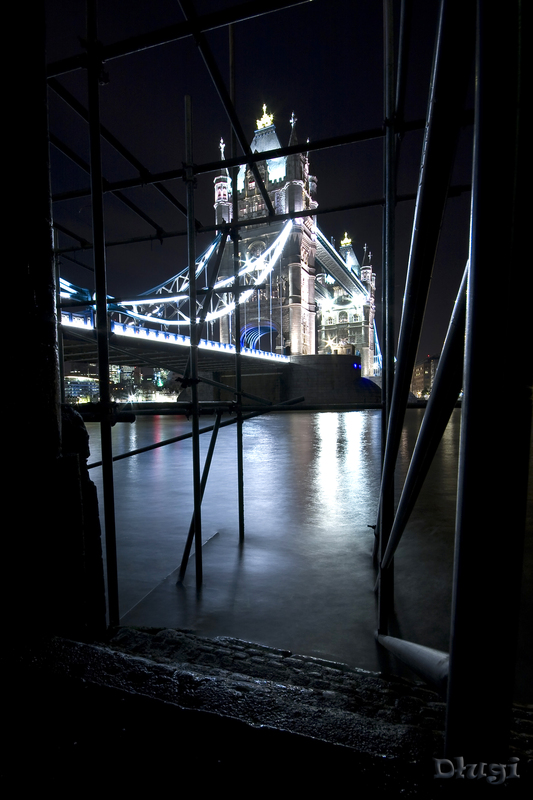 I went to that spot because I was there before and I knew it could offer a nice shot of Tower Bridge. The scaffolding took me by surprise though. My first thought was “damn it!” but after a second I figured this might be quite unique. The fact that the scaffolding is not there anymore and these pictures cannot be taken again is kind of a pleasant thought. 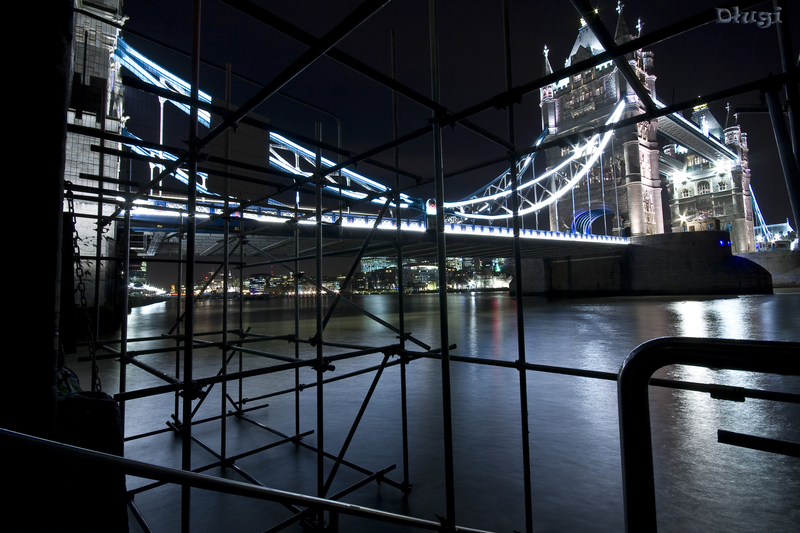 This entry was posted in Cities, Landscapes and tagged london, london at night, night bridge, night thames, scaffolding, scaffolding tower bridge, thames river, tower bridge, tower bridge at night. Bookmark the permalink.